How does the electric utility fit in to a rapidly-evolving energy system? That’s what the Illinois Commerce Commission is trying to determine with its new effort, “NextGrid.” Together, we’re rethinking the roles of the utility, the customer, and energy solution providers in a 21st-century electric grid. In some ways, NextGrid will follow in the footsteps of New York’s innovative Reforming the Energy Vision (REV) process, a multi-year effort to re-examine how electric utilities and customers interact. A new approach is essential to accelerating the adoption of clean energy technologies and services in the state. Like REV, NextGrid is gaining national attention for stakeholder-driven processes to reveal new ways to value distributed energy resources (DER), like rooftop solar and batteries. New York and Illinois’ efforts also seek alternatives to simply building more and more wires, poles, and power plants to meet the energy needs of tomorrow. Yet, Illinois may go a few steps beyond New York, creating a comprehensive framework for utilities to measure how DER are making the grid smarter and more efficient. Here is what we know will happen so far. On Wednesday, April 5, at the second annual Grid Modernization Forum in Chicago, I’ll be discussing why these provisions could change the future of our energy system. The Illinois Commerce Commission’s NextGrid plans grew out of the recently-passed Future Energy Jobs Act, a landmark piece of climate and energy policy that was widely heralded as a bipartisan oddity in the age of Trump. The Future Energy Jobs Act will provide significant new investments in renewables and energy efficiency over the next 13 years, redefine the role and value of rooftop solar and batteries on the grid, and lead to significant greenhouse gas emission reductions. NextGrid will likely start laying the groundwork for valuing distributed energy resources (DER) as envisioned by the Future Energy Jobs Act, which introduces the concept of a new rebate. Illinois currently has a net metering policy, which lets people with solar panels sell their unused solar energy back to the grid to offset their electric bill. Yet the net metering policy had an arbitrary “cap,” or a certain level after which homes and businesses adding solar panels would no longer be able to benefit from net metering. Although Illinois is still a few years away from meeting that previous “cap,” when it does hit that level, the new policy will ensure additional DER will still be rewarded. Under the new plan, the Value-of-DER rebate will replace net metering on the distribution portion of a customer’s bill (the charge for delivering electricity from the local substation to your house) with an upfront payment, which credits the customer for the value their solar provides to the local grid over the system’s life. Net metering for the energy supply portion of the bill would remain – i.e. homes and businesses would still be able to offset a significant portion of their electric bills by selling excess energy. What is unique about Illinois’ approach is that the rebate is an upfront payment, rather than on ongoing tariff or reduced net metering compensation, for example. By allowing customers to get paid for the value solar provides to the system at the time it is installed, in the same way new wires, poles, and transformers would, this upfront payment positions DER investments as equally or more beneficial to customers and the electric grid. This is a huge step not only for regulators, but for utilities as well, as they begin to see distributed energy as an asset to the system. This is a huge step for utilities, as they begin to see distributed energy as an asset to the system. The rebate would also factor-in the variables of location, time, and performance of DER in the rebate formula, allowing for a more precise calculation of the value to the grid. Peak electricity demand can stress the local grid, causing wear and tear and failure of the equipment that serve our homes and businesses. Power from DER during peak times and in certain areas can alleviate those stresses, therefore providing a greater value than during times of average demand. In addition, factoring-in the value of performance will take into account the other functions of distributed energy that help keep the lights on. For example, batteries can provide support for helping avoid voltage fluctuations that can cause outages and other costs to customers. The Value-of-DER rebate presents many questions for the evolving energy economy. 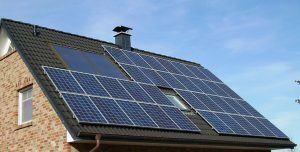 How will it affect the utility relationship with rooftop solar? What does it mean for a utility to say that solar is a value to the electric grid, and not a cost? How will different DER assets be able to take advantage of a valuation that is specific to their capabilities on the system? And how can the utility get more involved in DER siting to enable additional grid benefits? Join me at the second annual Grid Modernization Forum in Chicago to discuss these questions and how, with innovative concepts like the Value of DER policy, Illinois could leapfrog New York in building the utility of the future. This entry was posted in Clean Energy, Grid Modernization, Illinois, Utility Business Models. Bookmark the permalink. Both comments and trackbacks are currently closed. My PV solar system will produce for over 25 years. I am very skeptical the Utilities will make this up front payment so small. The Utilities can raise future rates with inflation will make any up front payment almost worthless. Thank you for your comment, Hannah. We are working to ensure Illinois fairly rewards customers and utilities as additional solar comes online.